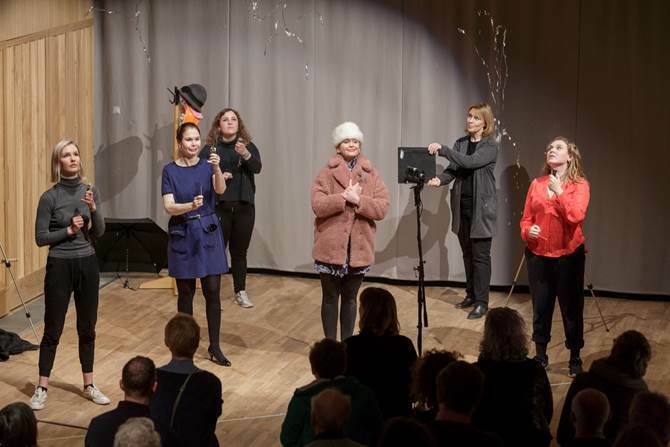 Working with the University of Cambridge, the Contemporary Art Society together with InSite Arts managed the fourth year of residencies in the North West Cambridge Development site. 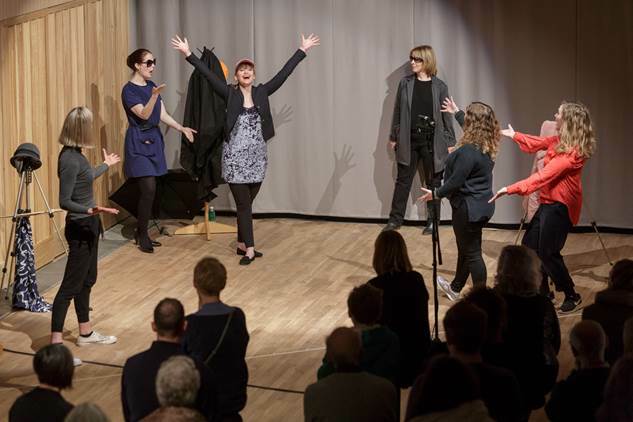 Melanie Manchot, a London based visual artist working with photography, ﬁlm and video as a performative and participatory practice, partnered with the Office of Postdoctoral Affairs (OPdA) for her 2016 residency. Manchot’s time at NWCD coincided with the first residents moving onto the site and so she responded to idea of community in the new neighbourhood. Melanie engaged with post doc researchers from diverse disciplines through a series of ‘cross talks’ seminars. These discussions explored the future of friendship, shelter and community in the context of the Development and in relation to the current socio-political climate. 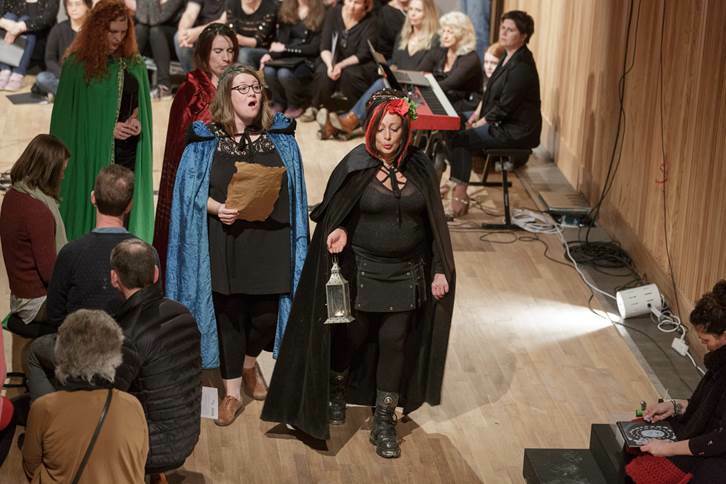 The cross talks were observed by a group of translators from different performative practices, who then devised four scores to be performed by a clown choir, a drama choir, a rap choir and a pagan choir. 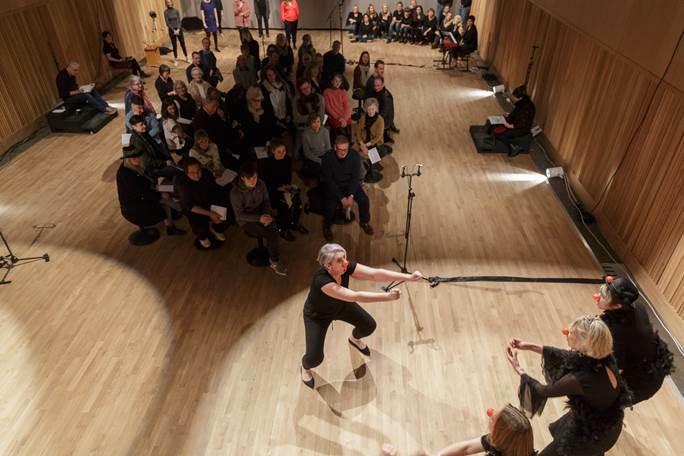 In January 2018, the four choirs came together at the newly opened Storey’s Field Centre to perform a unique event devised in response to these inter-disciplinary exchanges.